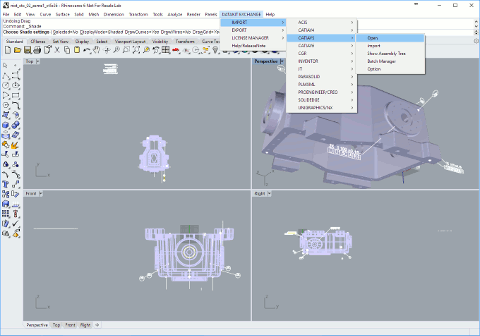 Datakit, leading company in CAD data exchange announces that CrossCad/Plg, its range of CAD import and export plugins for Rhino, is now available with Rhino 6. Datakit follows constantly the evolution of the applications for which its plug-ins are designed, in order to offer an immediate availability to its customers as soon as a new version is released. Thus, when McNeel announced the availability of Rhino 6, Datakit was able to offer plug-ins working with this new version. 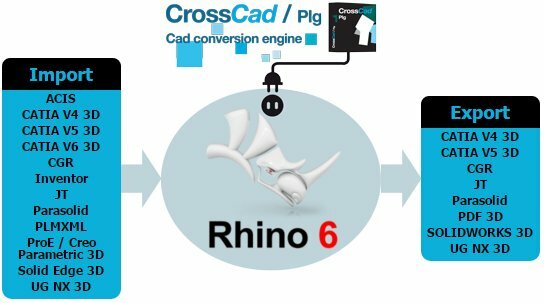 The CrossCad/Plg plug-ins range is thereby now compatible with Rhinoceros 4, 5 and 6. 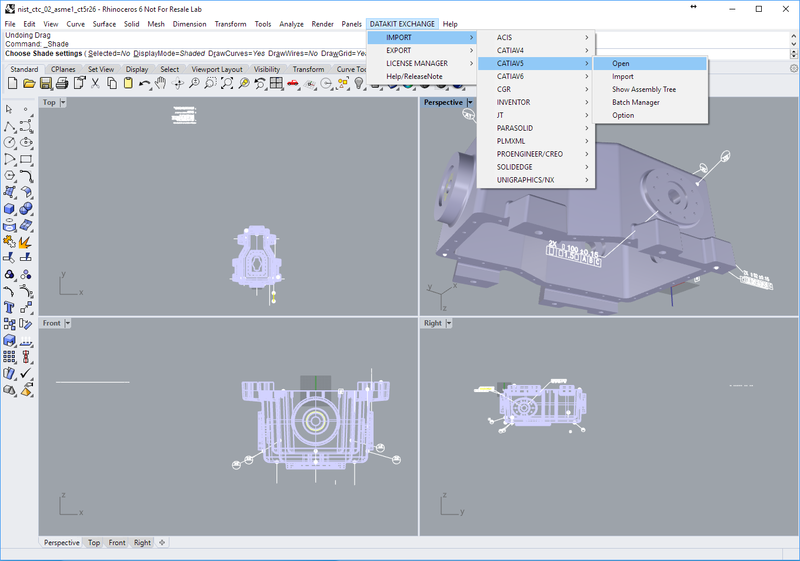 These plug-ins add to Rhino a menu enabling to import files in ACIS, CATIA V4, CATIA V5, CATIA V6 / 3DEXPERIENCE, CGR, Inventor, JT, Parasolid, PLMXML, ProE / Creo Parametric, Solid Edge and NX formats, or to export models created in Rhino to CATIA V4, CATIA V5, CGR, JT, Parasolid, 3DPDF, SOLIDWORKS or NX files. Users don’t need licenses of the applications corresponding to imported or exported formats, nor to install these applications for the plug-in to work. These plug-ins are available individually (one import format or one export format), or as discounted “bundles” containing up to 11 import formats and 5 export formats. Users wishing to try these add-ons can register on Datakit website to request a trial license. Customers with a maintenance subscription can install and use the new version right now, without the need of a new license. Licenses orders and maintenance subscriptions are available by contacting Datakit or its numerous resellers all over the world.